Sanjay Leela Bhansali is one of the most popular filmmakers in Bollywood, who is known for his lavish and extravagant movies. After the stupendous success of Padmaavat featuring Ranveer Singh, Deepika Padukone, and Shahid Kapoor, the ace filmmaker is all set for his next film and how. SLB’s next film is titled Inshallah and will star Salman Khan and Alia Bhatt in the lead roles, it simply can’t get any bigger. 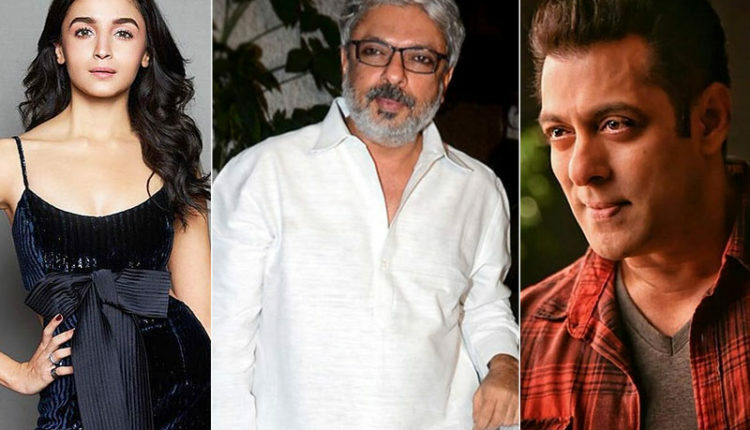 Touted to be a love story, Inshallah marks fourth collaboration between Sanjay Leela Bhansali and Salman Khan, whereas it is first-time 26-year-old actress Alia Bhatt is working with Bhansali. Salman and Bhansali last worked together in Saawariya, where he had an extended cameo. On the work front, Salman Khan will next be seen in Bharat also featuring Katrina Kaif, Tabu, Disha Patani, and Sunil Grover. On the other hand, Alia Bhatt is gearing up for the release of her next film Kalank also starring Varun Dhawan, Madhuri Dixit, Sonakshi Sinha, Aditya Roy Kapur, and Sanjay Dutt.